Right now I have five boys at my house ages 2-8!!!! They are actually playing quite well together! I finished the top for my pillow in the Pillow Talk Swap. Hoping my partner likes it. She wanted a shape that wasn't a square and likes linen as a background. She gave me lots of colour choices but I went with my favorite - aqua and red. 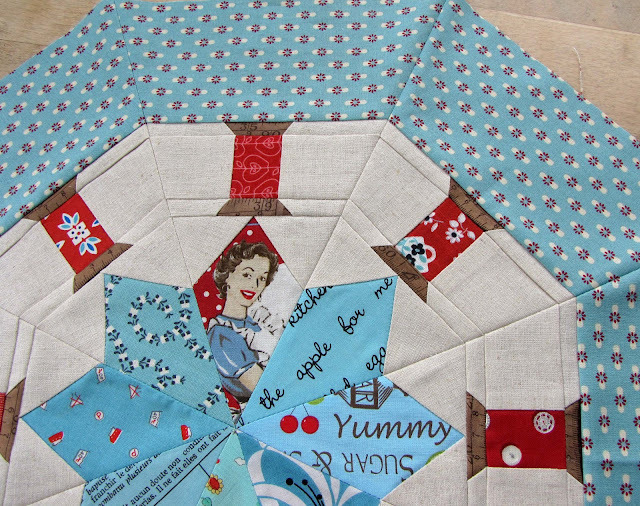 I thought my Starburst Spools Block would be the perfect design for this project! I've also been working on a project for the next issue of Fat Quarterly. I absolutely love this. I would say you have outdone yourself but that wouldn't be true. I bet your partner will be so in love with this that she will redecorate her room just to match it, because I sure would. Charise! Your partner is crazy lucky. Like lottery winning lucky. I would just die if something so incredible came to me. What a stunning block design. It looks amazing in the red/aqua. I am trying to figure out if I have the patience to make it...me and foundation piecing, well let's just say I am not that detail-oriented. I do love it, though! 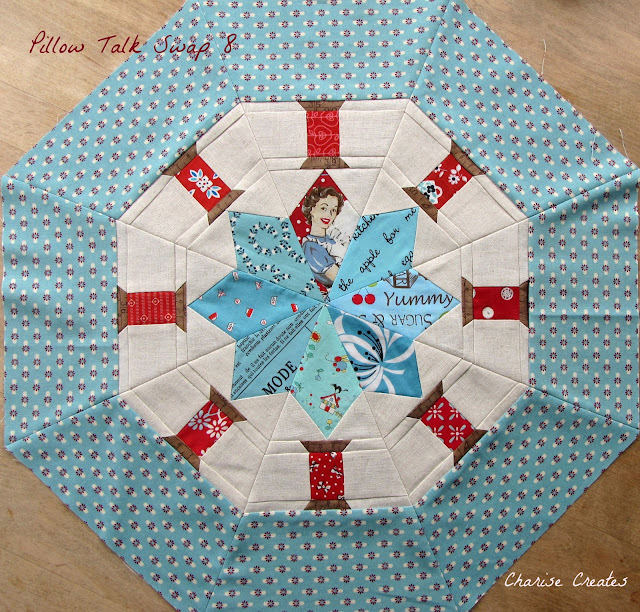 I love this take on your starburst spools block, Charise! I have my sections almost completed, maybe I can finish it today! 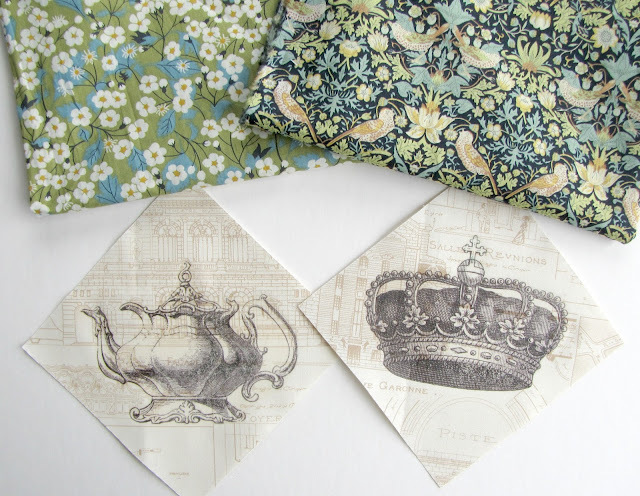 I love that pattern so much and can't wait to see your project for the fat quarterly! I love that the ring of red spools makes it look like a life saver, because really, sewing is a life saver!! !